If you desire to learn Greek, O.T. & N.T. Aramaic, and Hebrew, today is the day to start, enroll! As students for Greek, Aramaic, and Hebrew language classes, enroll, classes start this Fall, September 24, 2016. Greek, Aramaic, and Hebrew are very important for every Christian to know. Even if you don't desire a degree, you can still learn a Biblical language. Enroll today, please fill out the enrollment form, or please call. Enroll in a language course. The Old Covenant is full of treasures which can be discovered by knowing Hebrew. You also may also study Biblical Hebrew. Anyone can learn Biblical Hebrew. Biblical Greek is fun to learn! The first step is to learn how to speak the Greek language. We start by pronouncing a few letters at a time using lessons I have written. Eventually, you will be able to pronounce all the letters using them in words. Next is to learn vocabulary and grammar, easy! The New Covenant was preserved by God. His Word states He has preserved His Word. 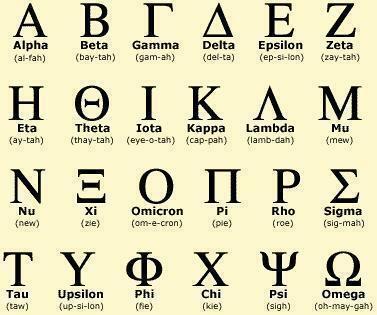 To hear the modern Greek alphabet pronounced click HERE. Biblical Hebrew is fun to learn! The first step is to learn how to read and speak the Hebrew language. We start by enunciating a few letters at a time using lessons from a book I had used to learn Hebrew in a synagogue. Eventually you will be able to pronounce all the letters using them in words. This is a perverted Hebrew text.